The services have remained free due to generous donations. Every year, President Bush's Cape Arundel Celebrity Golf Tournament has raised thousands of dollars to support the home. ARUNDEL (NEWS CENTER Maine)-- The legacy of George H.W. Bush will live on in Maine through his philanthropy and support of Gary's House in Portland. The home is affiliated with Mercy Hospital and allows patients and their family members at area medical facilities to have a place to stay for free. "It's been a godsend," said Lisa Parent, one of the regulars at Gary's House. "If he didn't have the support here then I certainly wouldn't be here, so all of the funds that are raised through the Bush Foundation in his name are extremely beneficial," said Parent. She lives five hours north of Portland and has to come to southern Maine for medical care at least six times a year. Parent estimates she has stayed at Gary's Home 40 times, sometimes as long as four weeks at a time. Due to Parent's dietary restrictions, having access to the Gary's House kitchen makes her trips much easier. Knowing she has a comfortable place to stay gives her peace of mind. "It's just one less stressor they have to deal with," said Debra Lavoie, Executive Director. She said the home has been open for 20 years and serves between 400-500 families each year. The suggested donation is $15 a night to stay — but Gary's House waives the fee for anyone who cannot pay. 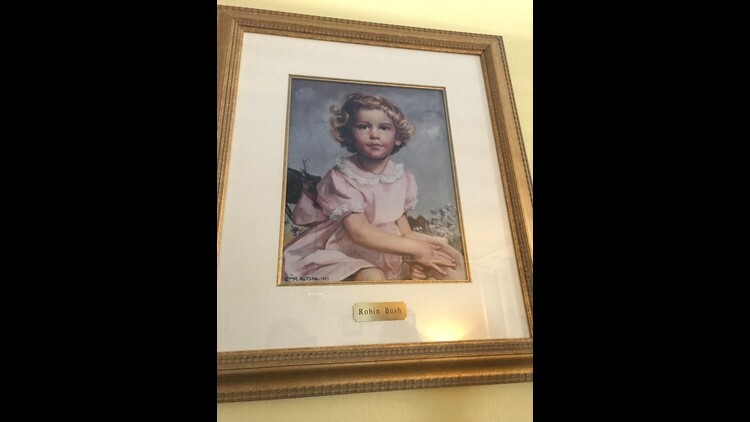 Hanging in the heart of the home is a portrait of Robin Bush, the daughter George and Barbara lost when she was just three years old. It's a painting that shows patients Gary's Home is a personal cause for the Bush family. "That's probably one of the reasons why President Bush lent his name to our golf tournament, having experienced such grief and loss of a child," said Lavoie. The work at Gary's House and the Celebrity Golf Tournament will continue. "I feel a connection to him as part of the family," said Parent. "It's a stately house here, very beautiful. And you can feel his presence."